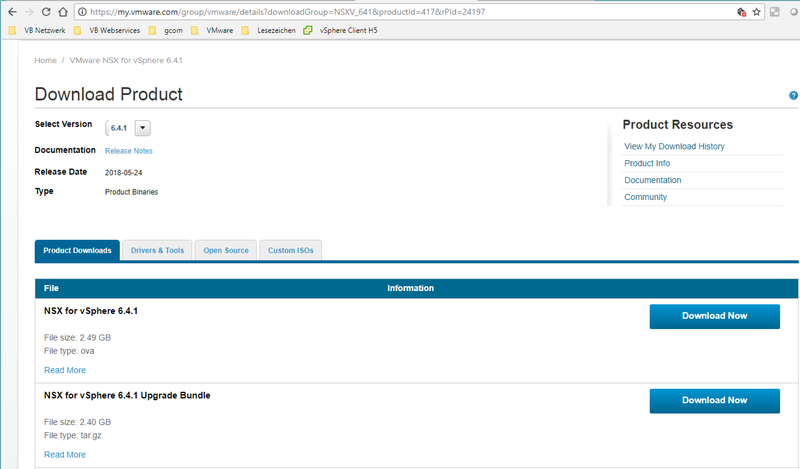 Select your downloaded Upgrade Bundle and click on continue. 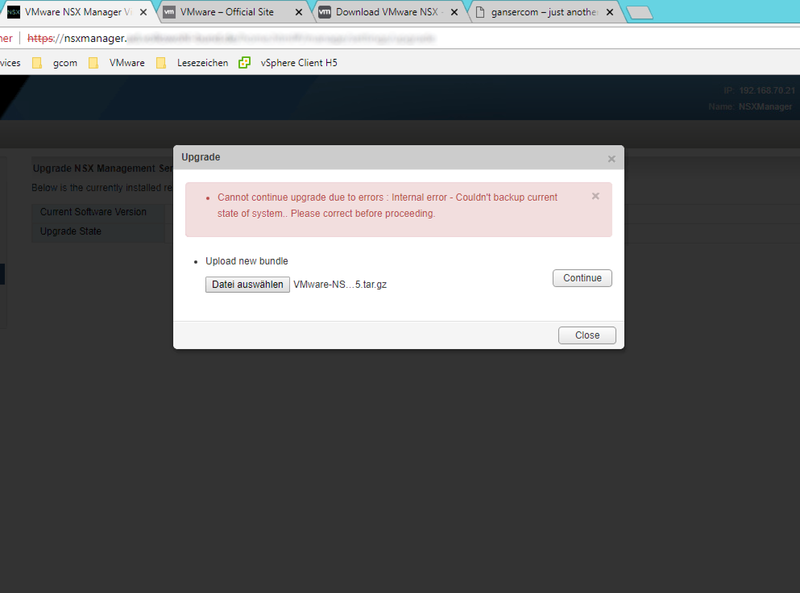 In my case I got an error ‘Couldn’t backup current state of system..’ After I’ve made a backup manually the upload was successful. 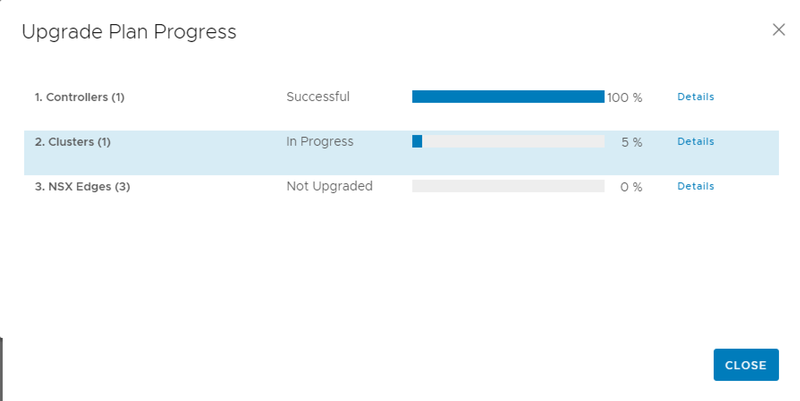 After you have started the upgrade you will see the upgrade process. 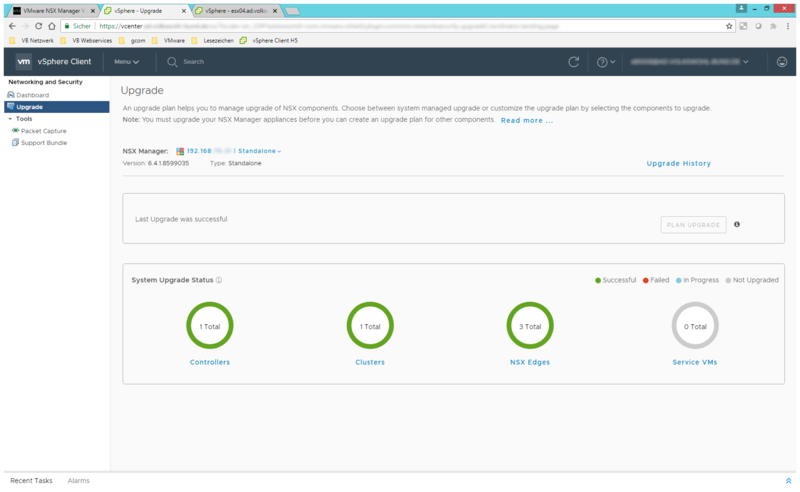 If you open a console session of the NSX manager you will see that the appliance is rebooting after the upgrade is installed. After the appliance is rebooted you can login again. 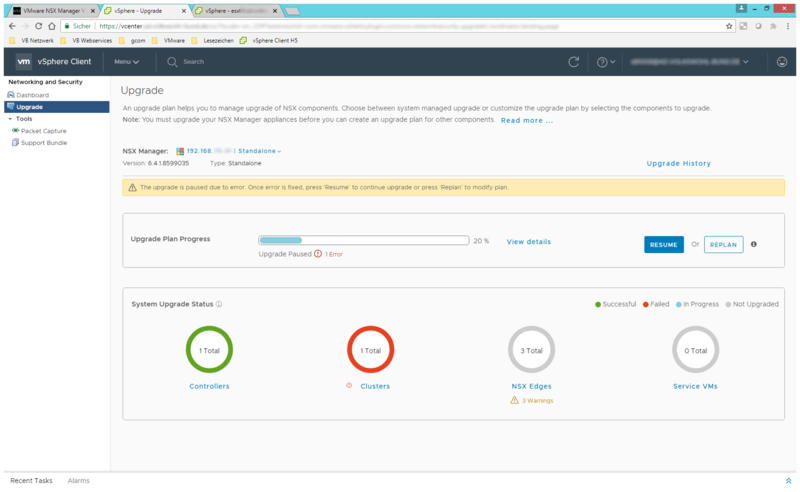 The summary page should now show version 6.4.1. 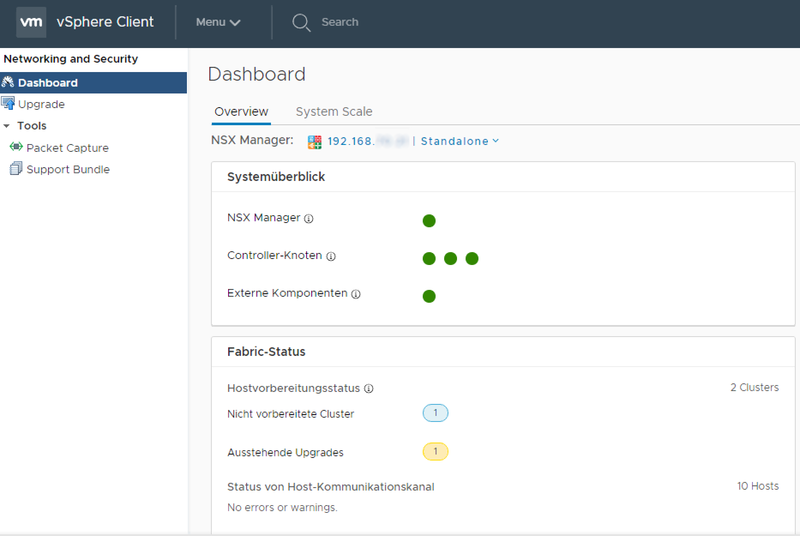 Now the work on the NSX-Manager is done. 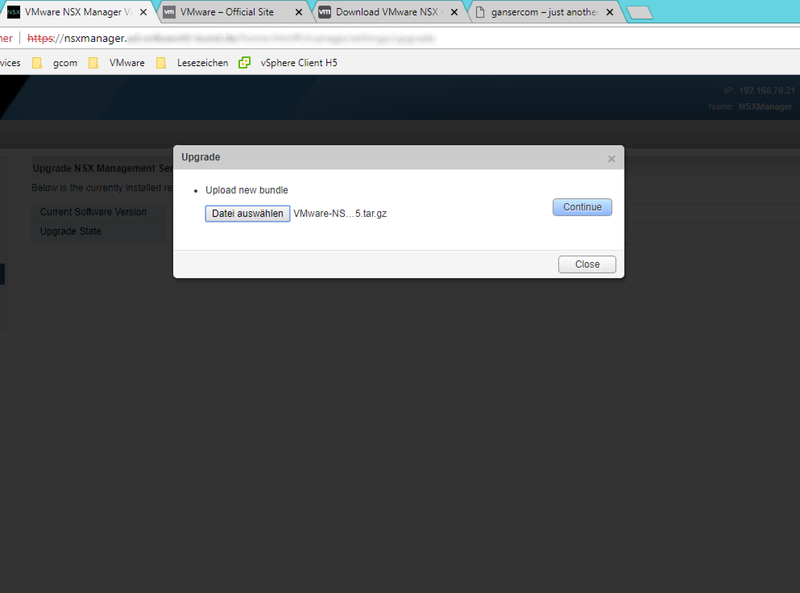 Login to the vSphere Client (HTML5 Client) and go to Menu > Networking and Security. The Dashboard now shows at least one cluster which is not upgraded yet. In my pictures one cluster is not prepared yet. 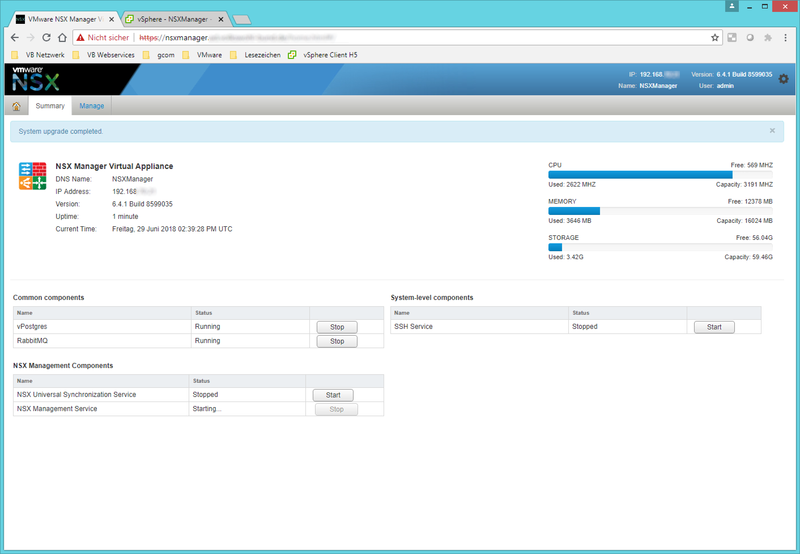 This is a cluster which is not used for NSX but managed by the same vCenter. Please ignore it. With One Click Upgrade all Components will be upgraded without any pause between the components or on errors. If you want to do it this way, just click on Start Upgrade and wait for completion. 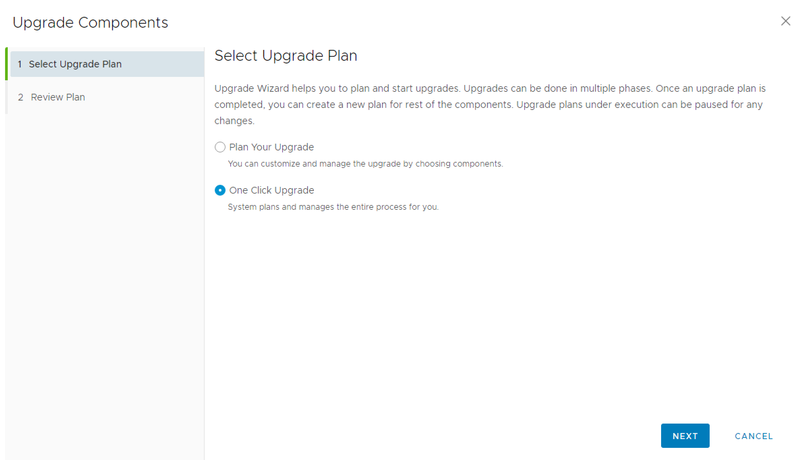 If you want it a little bit more in your hands you have to choose Plan Your Upgrade. In the middle of the dashboard you will see the progress of the actual component upgrade. The three NSX Controller VMs will get the upgrade installed and won’t be deployed new. 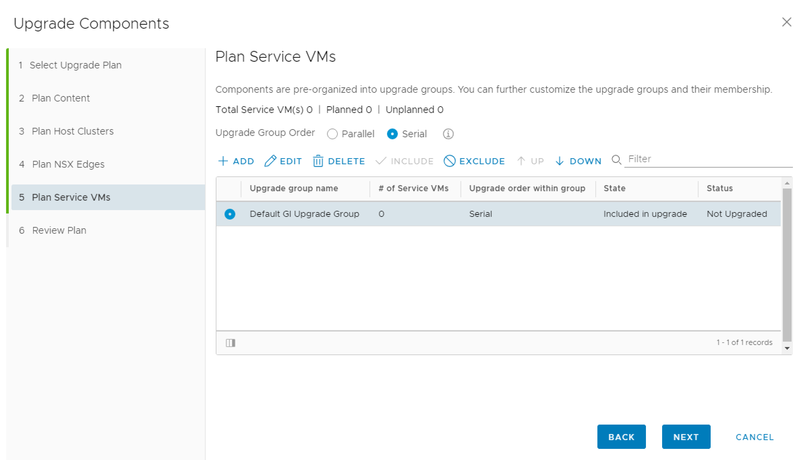 Once the upgrade is installed every VM will restart. Only one controller at a time will be upgraded, resync with the other two controllers and then the next one will be upgraded. 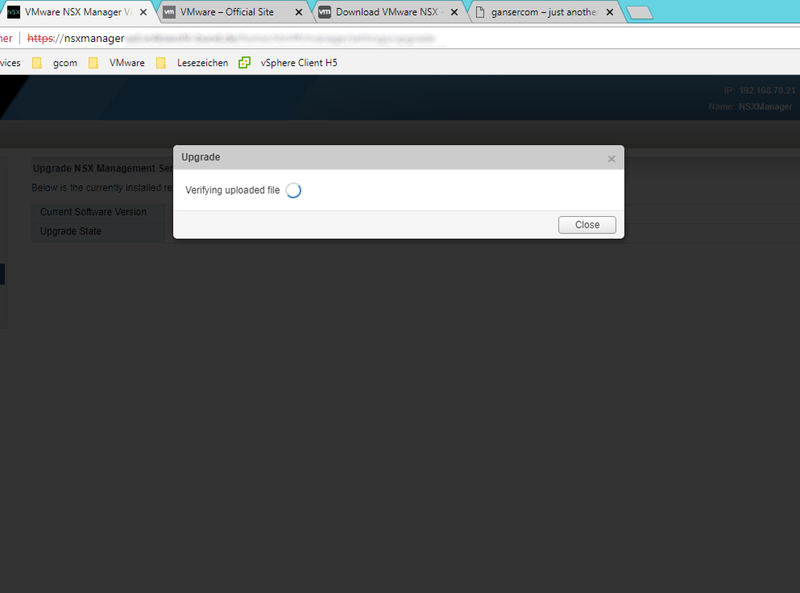 You will see that the installed OS will switch from Other 3.x or later Linux to VMware Photon OS. The Version of VMware Tools also will be updated. After all three controllers are up and running again the progress paused. The next step upgrade the cluster. In this step the NSX Agent on all ESXi host in the cluster will be upgraded. After the upgrade the components of NSX on the host must be restarted. 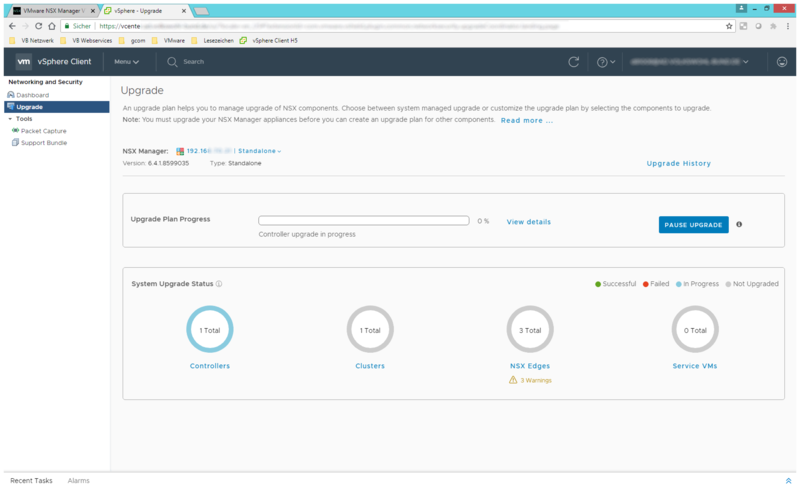 To do this the ESXi host will be set to maintenance mode, restart the agent and leave maintenance mode. This will be done automatically. The benefit of this process is that we don’t need to restart the whole ESXi host, which will save a lot of time. With every upgraded ESXi host the progress will be updated. 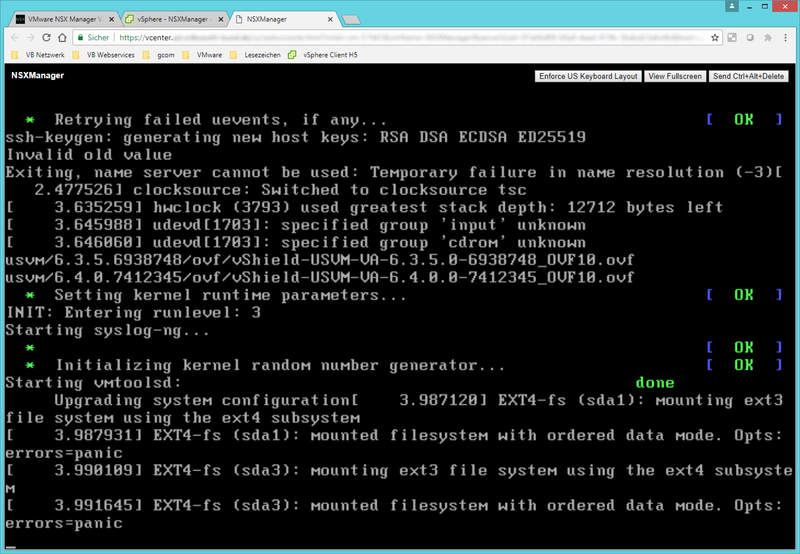 It is possible that you will see an error that the cluster upgrade failed. 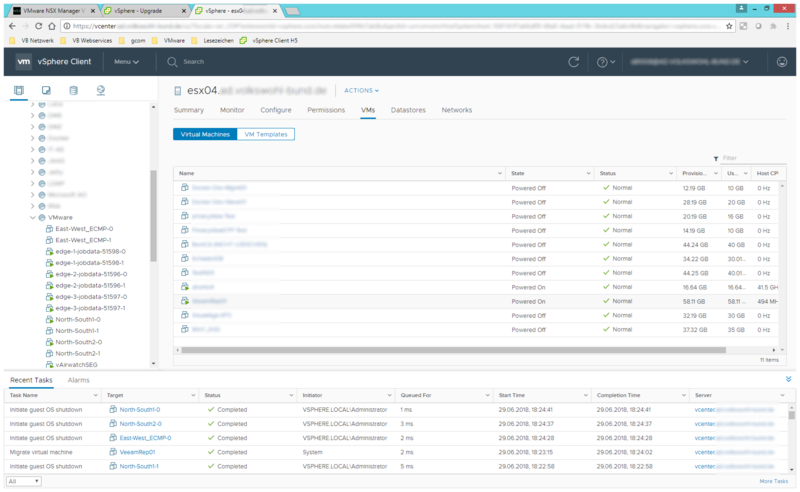 For me it was the last ESXi host where the entering and leaving of maintenance mode runs to long. The process on the ESXi host was not stopped. 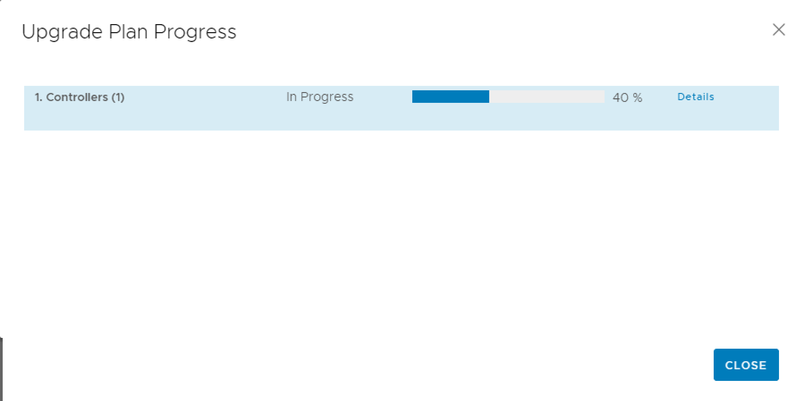 So I’ve just clicked on RESUME and the progress switched to complete immediately. 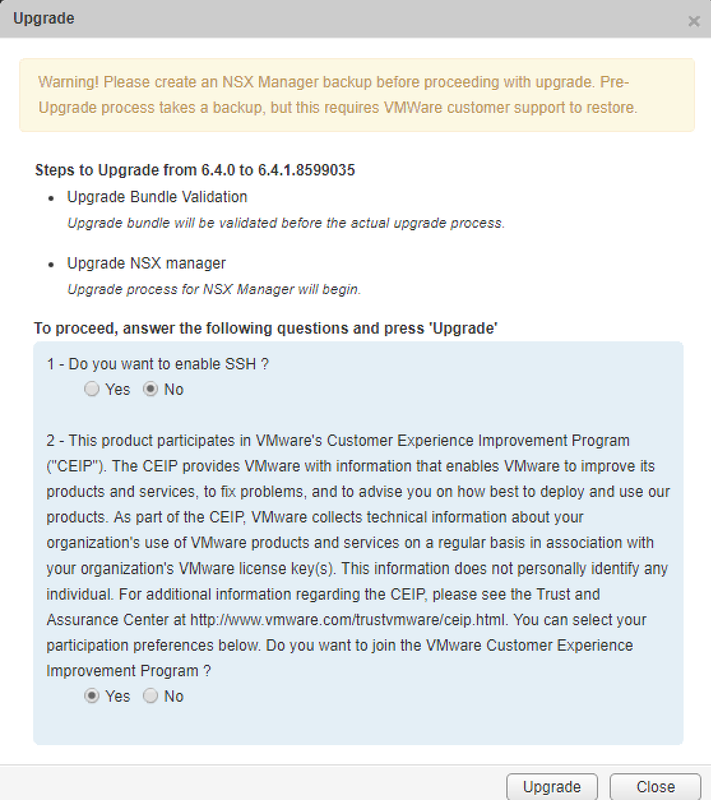 After click on RESUME UPGRADE again the upgrade of the NSX Edges starts. 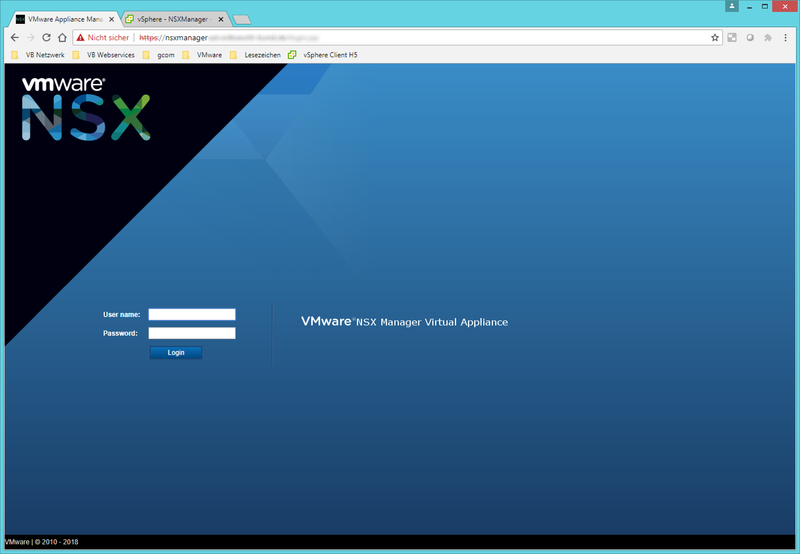 My setup has 3 NSX Edges. All edges are running in HA Mode. This means the upgrade task deploys six new machines from OVF-Template. 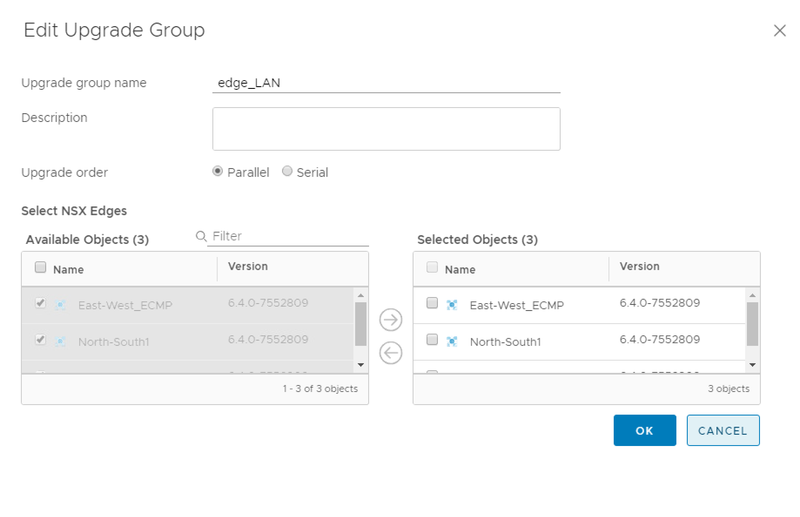 First one Edge-Node of each HA-pair will be shutdown and a fresh deployed Edge-Node will be started. 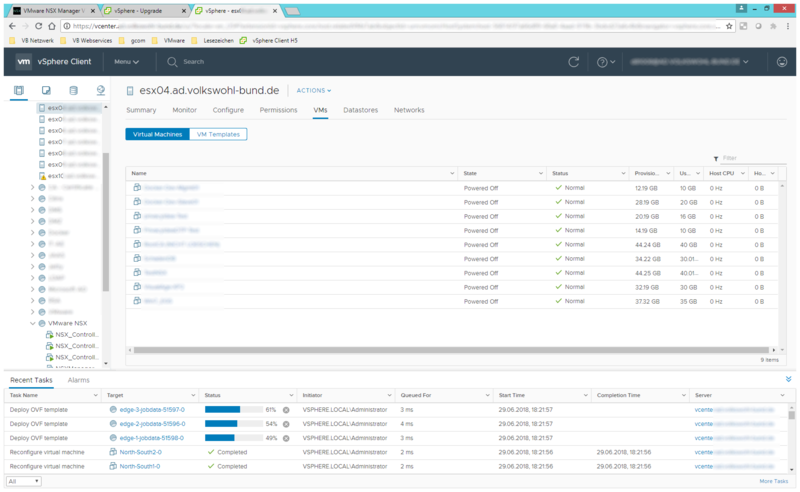 The availability of each NSX-Edge will be ensured by the “old” second Node. 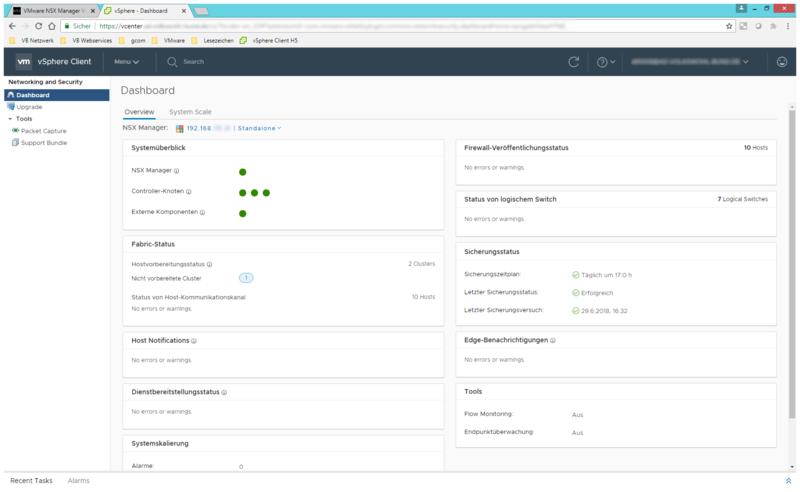 After the new Edge-Node is up and running, the task will switch the active status to this Node and shuts down the seconde Node (old version). Now the second Edge-Nodes will be started and rejoin the NSX-Edge as passive Edge-Node. 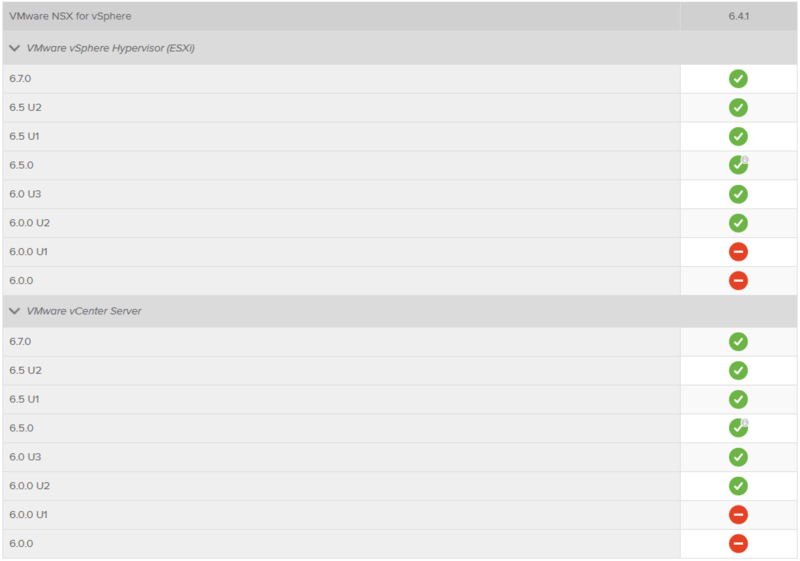 Last step is deleting the old nodes and rename the new Nodes to their correct names.